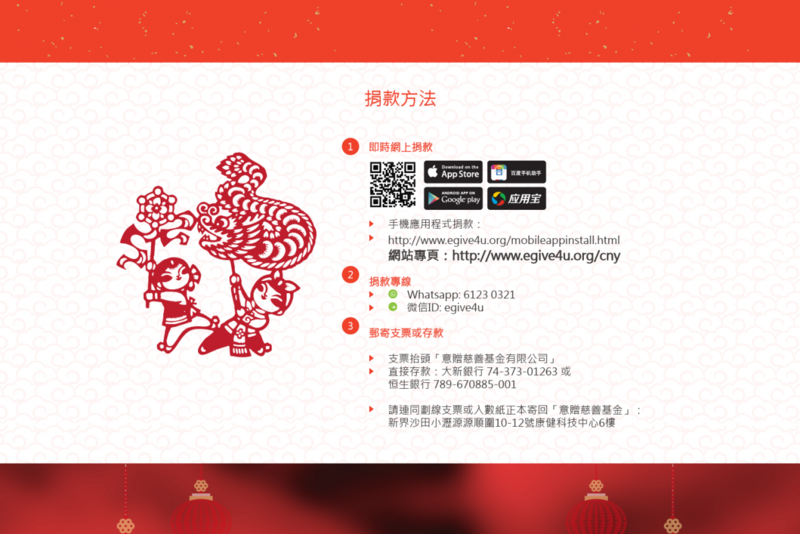 At the beginning of 2016, 4D was asked to organize an online charity campaign for eGive during the Lunar New Year. At that time, we only had 2 weeks for communication, website development and promotion. 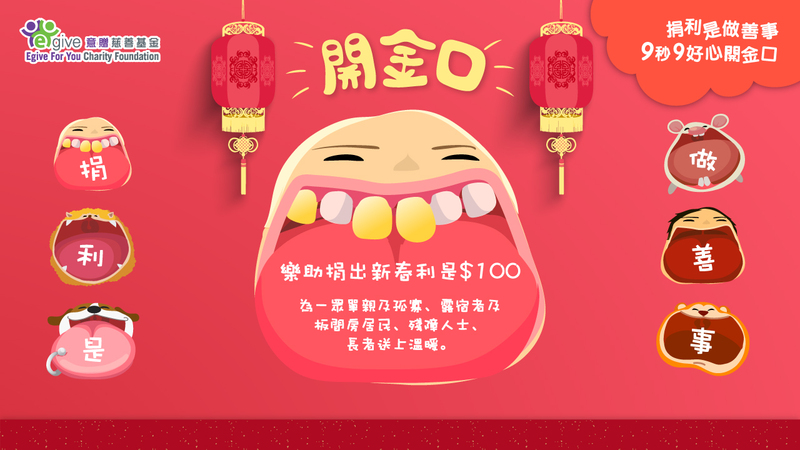 Also, Lunar New Year is the peak season of local advertising industry so that our collective target is to voice the campaign out of the crowd in order to arouse public attention. It was a one-stop marketing promotion combining with website design, user test, Facebook page management and promotion, and inviting famous online celebrities. 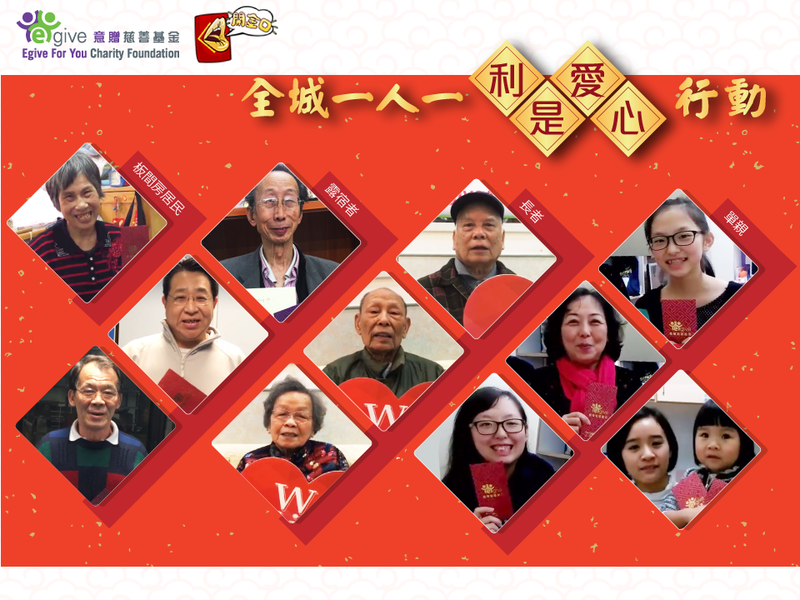 The online fundraising campaign is not only stood out from the rest, but also gained support from the well-known artists like Joey Yung and William So. 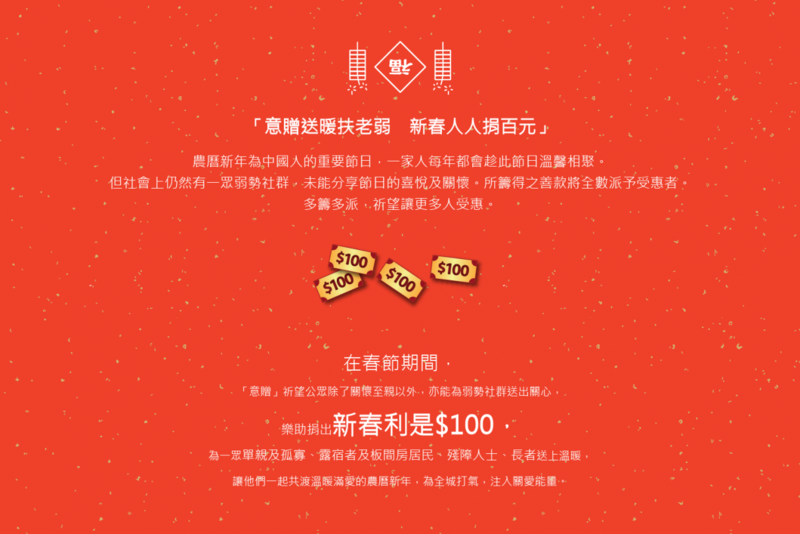 This brought a viral marketing in the online world and thus we raised HKD$ 600,000 for the vulnerable group.